in Santa Fe, New Mexico USA. Currents: The Santa Fe International New Media Festival is an annual city wide event in Santa Fe,New Mexico. 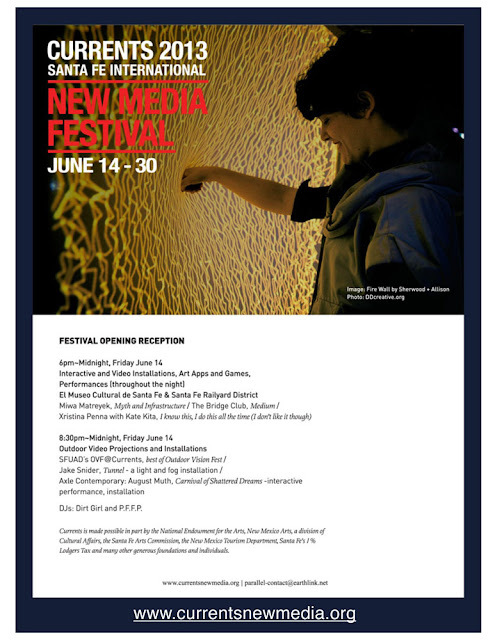 The New Media Festival brings regional, national, and international New Media Arts through exhibitions, multimedia performances, workshops, and other community events. To inquire about the New Media Festival scheduled events, venues, and participating artists.